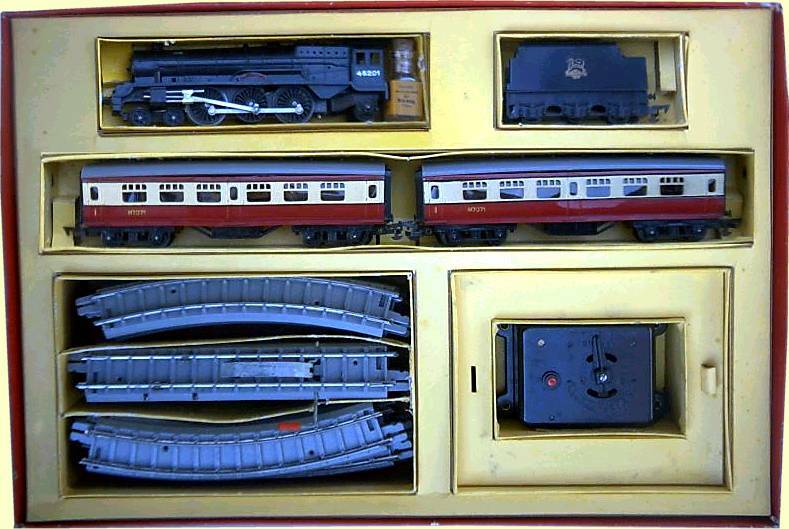 The R1 Set was introduced in 1952 and contained a Black Princess and tender, and two 7" maroon and cream coaches. 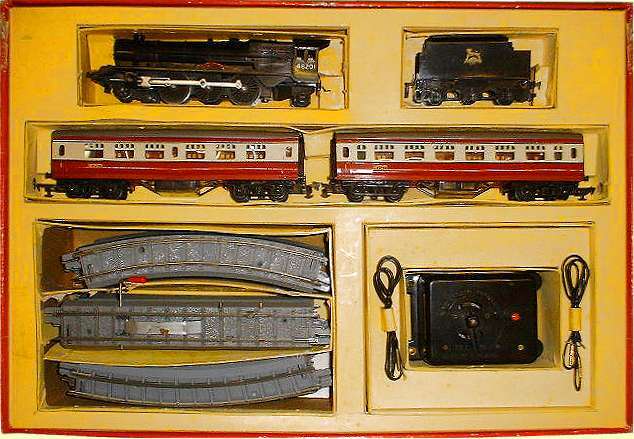 Standard track 12 curves, 2 straights and a R1 battery box. 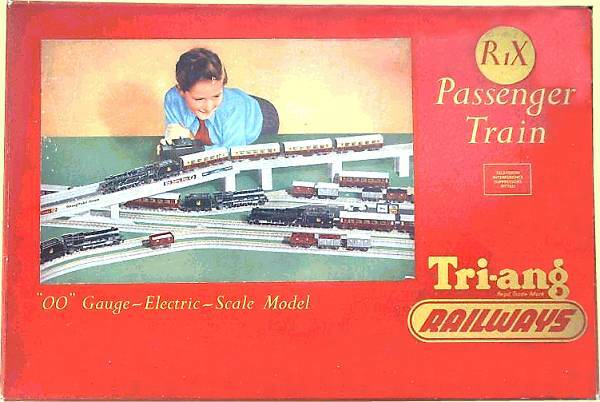 The R1X Set had a R42 controller. 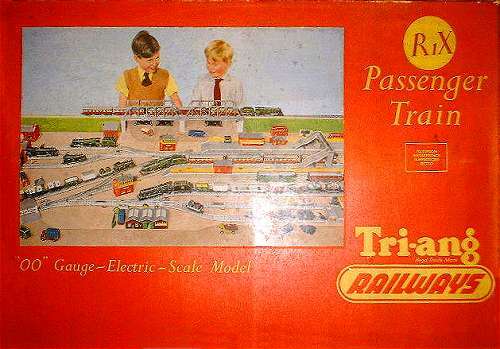 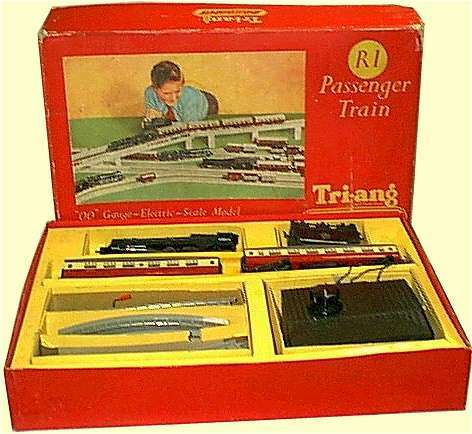 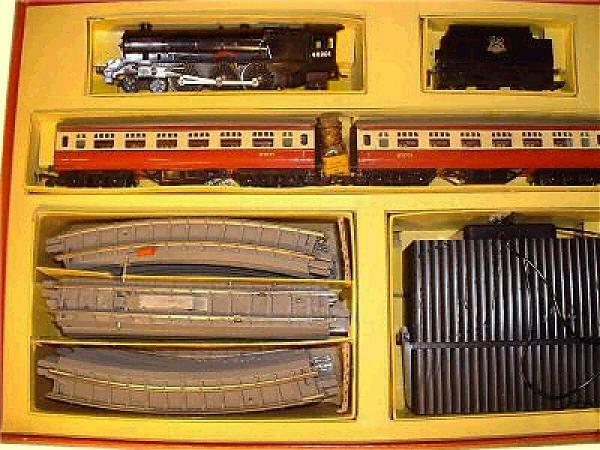 These set later became the RA, R3A and RS21 sets.